Netherlands beats Costa Rica 4-3 in penalty kicks in World Cup 2014 quarterfinals. The Netherlands through out the initial 90 minutes and 30 minutes Extra time were fairly dominant. Dirk Kuyt, the Dutch Goal keeper was the key man to save two penalty kicks. He went left on fourth penalty kick and buried Costa Rica hopes to reach Semifinals. 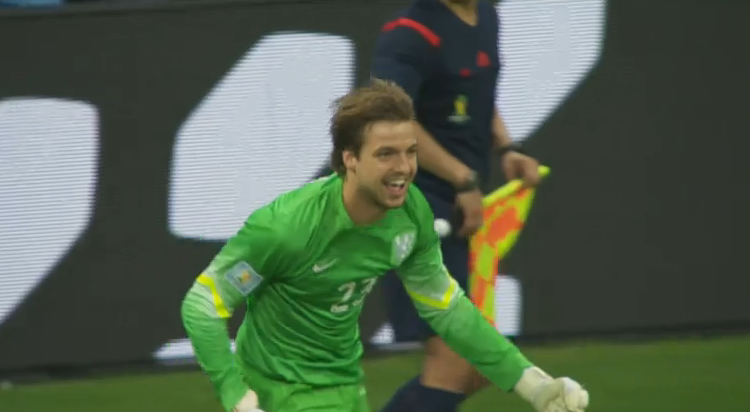 Michael Umaña went right but Krul judged and saved the penalty to take Netherlands to semifinals. Netherland will now play Argentina in the semifinals.